A guy goes to Las Vegas to gamble And he loses all his money. He doesn't even have enough for a cab, but he flagged one down anyway. 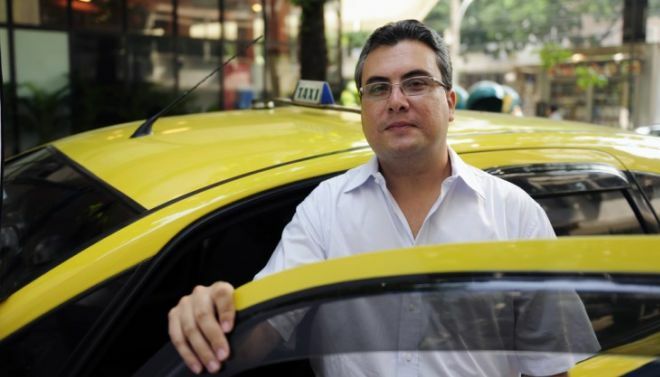 He explained to the driver that he would pay him back next time and gave him his phone number, but the driver told him, "Get the HELL out of my cab!" So he walked all the way to the airport and got home. Some time rolls by and he decides to go back to Vegas again and this time he wins BIG. He gets his bags and is ready for the airport with all his new winnings. There is a line of cabs and at the very end, he sees the driver from last time that kicked him out. He stood for a moment thinking how can he get his revenge on that driver. So, he gets in the first cab. "How much is it to the airport?" He asks. The driver says, "$15"
"Great, how much for you to sleep with me on the way there?" The cab driver says, "Get the hell out of my cab." So he goes to the next one and asks the same thing. "How much to the airport?" And that cab driver also tells him to get the hell out of his cab. He does this all the way down the line of drivers, each one kicking him out. He finally gets to the last driver, the one from his last trip. The driver doesn't recognize him and he asks, "Hey how much to the airport?" The guy hands him $15 and says "Great let's go!" And so the driver leaves, slowly passing all the other drivers who are staring out their window while the guy in the back smiles at them enthusiastically while giving them the thumbs up!